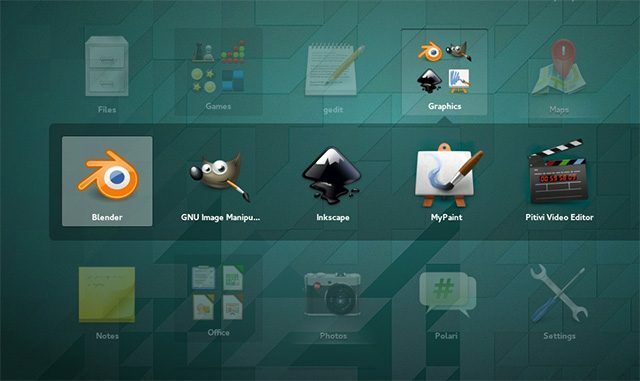 ARC GTK Theme is a flat theme with transparent elements for GTK 3, GTK 2 and Gnome-Shell. It has been successfully tested on wide range of Linux operating systems including Ubuntu 14.05, Arch Linux, Freya, Fedora 21 & 22, Debian 8.0, openSUSE 13.2 and many more. 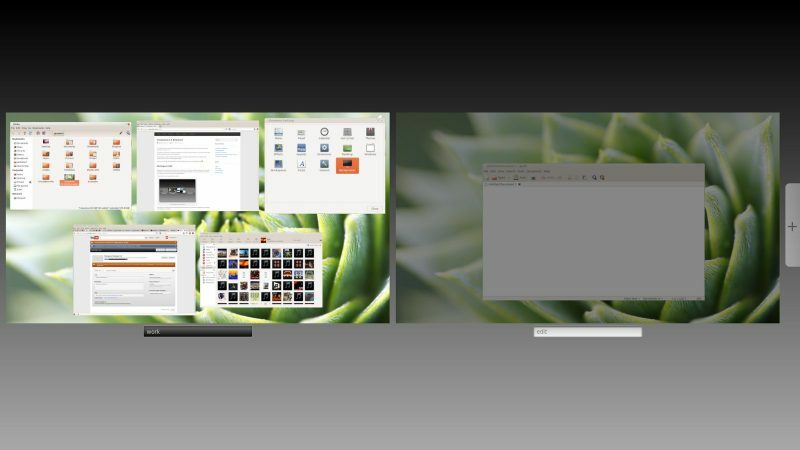 With some selected parts of the window, like GTK Header Bars and the sidebar in Nautilus as the figure above. This looks like on OS X Yosemite, we got a style that is used sparingly and to great effect. 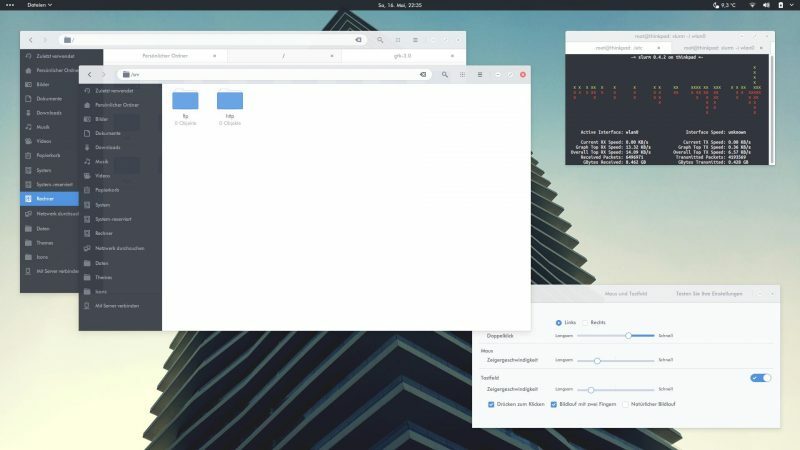 I’ve tested Arc theme then it works almost the same on Unity, GNOME, XFCE, Buggie, Pantheon, Cinnamon but the transparent effect only works on some specified app. 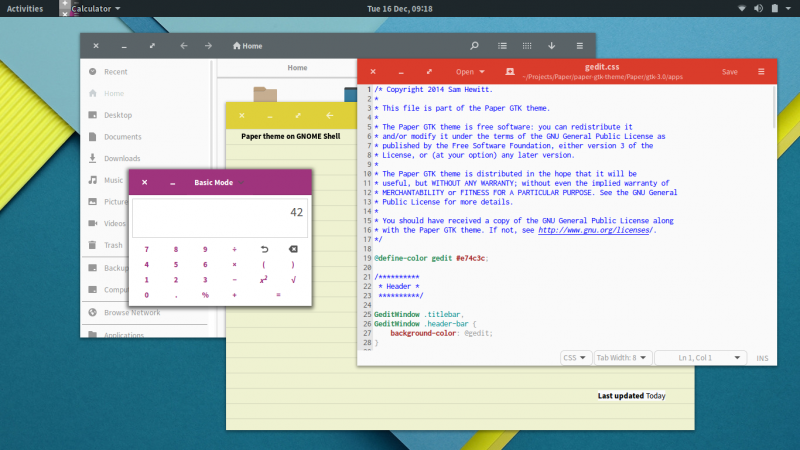 Paper is a modern GTK3 desktop theme suite. Its design is mostly flat with a minimal use of shadows for depth. Cinnamon 1.6 represents 4 months of development and 626 commits. It features a lot of bug fixes but also brand new features and many improvements.